Japan Lives And Dies On Exports! Two interesting articles appeared in Japan Today on June 17th. The first titled, "Japan post y216 trade deficit in May" and the other "BOJ to debate weak yen." What converts into just under a 2 billion dollar trade deficit in May was a big improvement from the year before, but even a drop in energy imports was not enough to offset the less than spectacular exports of finished goods. To make the situation even more bleak was an automotive reliability study that showed Japanese cars falling in quality when compared to their competition and how they were trumped by Korea. Both Kia and Hyundia blew them out of the water, even American automobiles are faring much better. This could cut into the heart of their share of auto sales going forward. The perception of quality is a hard asset to put a value on, but has a big effect on sales. Concern remains about the health of the Japanese economy, particularly that weak demand overseas could dent factory output as manufacturers try to cut an inventory buildup that boosted growth in the first quarter. The trade deficit narrowed in May, but the possibility of it moving back up in the second half of the year is very real as the weaker yen pushes up import costs. This moves us into the subject of the article about how Bank of Japan policymakers may be moving towards reviewing their weaker yen policy. It seems growing political concern over the weak yen policy is gaining traction, however consensus is that even as Greece moves nearer to defaulting on its debt BOJ officials will continue to be optimistic and stay the course of massive stimulus and monetary easing. The BOJ’s 2% inflation target for later this year is a very important part of their economic program and while prices have yet to move they still have hope it will occur as momentum takes hold. Last week Governor Haruhiko Kuroda drove the yen sharply higher by telling parliament the currency’s real, effective rate was “already very weak.” After a bump up the yen again retreated when Government and BOJ officials came out saying the remark, while not a warning to yen bears, reflected growing concern voiced by politicians over the demerits of a weak yen, such as the pain inflicted on consumers through rising food prices. In recent parliament debates, lawmakers have urged Kuroda not to be hasty in trying to meet the inflation target and to hold off on more easing that could spur unwelcome yen falls. This is a big change from the days when the BOJ was under constant pressure to do more easing to help weaken the yen. Many BOJ officials say the benefits of a weak yen still outweigh the downside, but some peope worry about the effect on consumption. Last year households quickly curbed spending when a sales tax hike raised the cost of living. The reality is the BOJ is in a difficult position because as time goes by results of their weak yen policy has yet to bring the prosperity many had hoped for while government debt has grown ever greater. At some point it will become clear that Japan has dug a hole that it cannot climb out of. 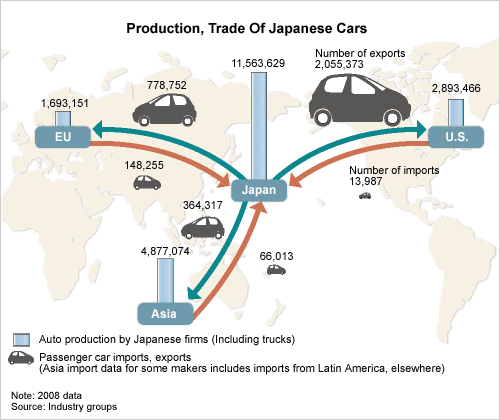 The fact that Japan no longer runs a huge trade surplus is a key issue that must be factored in. Unlike Greece the people of Japan own much of their country's debt and the Japanese people will suffer in case of a default or when the debt is repaid with a severely depreciated or worthless yen. Kuroda has said the BOJ is ready to act again if underlying trend inflation weakens, keeping alive market expectations of additional stimulus in October. “Just because a weak yen has been positive so far, that doesn’t mean that there will be more merit if the yen weakens further,” he said last week. Further monetary easing may be a tough sell to lawmakers growing wary of the costs of the radical monetary stimulus. This puts the BOJ is in a difficult position. Just like many central banks across the world that have tried to jump start their economies through stimulus programs rather than urging economic structural reforms they have distorted and delayed the economic landscape. The picture of Japan's future is both cloudy and complicated by the combination of its massive still growing national debt, an aging population, and their heavy reliance on exports. Footnote; Thanks for reading as always your comments are encouraged. Please check the archives for more articles that might be of interest to you. Another recent article concerning Japan can be found below. Words like stagflation and slow growth may be the cornerstone of the global economy for years to come and this is the positive view of what might lie ahead. A more negative take would include words like world war, depression, and social instability. A debate rages on under the surface and in the minds of many economist and investors as to whether we will fall into the trap of deflation or inflation is in the cards. It is possible the world we encounter both with deflation raging in one country and just across the border inflation having its way and shaping the lives of all it touches. As I have written before, currencies are the "Trojan Horse" of governments and a weapon that will be used to fleece the average citizen out of his wealth. I remind you, modern economics does not span a large period of man's history and with all the twists and turns that have taken place during its development, it makes a poor basis for future projections. The way banks are chartered and regulated, and even the use of currencies on the scales used today dates back only a few hundred years. To think those in charge of our central banks and economies have the wisdom to guide us on the path to prosperity is a bit naive. Knowing that many of those leading us honed their skills in the noncompetitive ivory towers of academia rather than in the arena of commerce should give us pause. Even before you factor in things like hidden agendas and arrogance it would not be wise to follow them blindly. A tectonic change or shift is taking place in the economies of countries across the world. This may be the result of our economic institutions reaching a more mature state and the world reaching a point where long-term sustainability is becoming more of an issue. This has become more obvious as we now find we are busy jostling for position in the economic food chain, but this is not just for ourselves, it is for the future of both our children and our country. This can be seen clearly here in America where during the last few decades the financial sector has enjoyed tremendous growth while other sectors of the economy struggle. It could be that all this mask a future of world stagflation and years of slow growth. It is not uncommon in a stagnant business environment to also face high unemployment, this tends to breed discontentment and social unrest. Today we are seeing countries across the world moving in fits and starts. Often what little growth they have, or statistically portend to have, being produced in flawed or modified data that is massaged and skewed. To make matters worse it usually comes on the back of massively aggressive monetary easing and from zero interest rates that misallocate resources and capital. During all this, we have become far too accustomed to moving around and postponing what needs to be done, and each day we become more complacent and accepting of the notion that we will muddle through. Structural problems have not been addressed in Europe or elsewhere. The debt crises in Greece exist in different forms in many nations. A global day of reckoning awaits; the overhanging question is just when it will arrive. Eight months ago President Obama began a war against ISIS and recent claims of a recent victory against ISIS when a rare U.S. Army commando ground attack took place deep into Syria seemed more of a distraction to take our eyes off defeats elsewhere. A team of Delta Force commandos slipped across the border from Iraq under cover of darkness on May 16th aboard Black Hawk helicopters and V-22 Osprey aircraft killing a man described as the Islamic State's head of oil operations, capturing his wife and rescuing a woman whom American officials said was enslaved. On Sunday morning talk shows this was touted as a milestone in our fight but does little to offset the fact we lack a comprehensive or effective strategy in the Middle East. Glaring examples of our failures are presented in an article such as the May 23 Washington Post story that paints a picture of total chaos and mayhem garnered from the accounts of fighters in the city of Ramadi that recently fell to ISIS. They said its fall was owed as much to the weakness of Iraq’s forces and holes in U.S. strategy as much as it had to do with the Islamic State’s strength. The soldiers described the confusion and a lack of coordination between branches of the security forces as chains of command broke down. Even Iraq’s Golden Division, a special U.S. trained special-forces unit the most capable in the country ran and deserted its positions. In an effort to explain away their defeat Iraqi military officials said the U.S. led coalition bombed the edges of Ramadi, but there simply weren’t enough airstrikes. Bottom-line is the Iraqi's remain conflicted and ununited, this makes them unreliable as a fighting force. No amount of money or training will solve this problem. Adding to the ugly situation and reports from the Middle East was the fact that Islamic State militants seized control of the majority of the Syrian city of Palmyra as Ramadi fell. This made it the second significant strategic gain for the group in a week and leaving one of the region’s most renowned archaeological sites in peril. Reports from activists and Syrian state media said pro-government forces had withdrawn from the city northeast of Damascus after a week-long assault by the militants. The advance is more proof by the Islamic State of its ability to continue taking territory, despite recent assertions by American officials that it remains largely on the defensive after 10 months of U.S. led airstrikes. Reasons exist to be concerned over how the ideology being spread by ISIS can manifest itself in acts of terror throughout the world. These might come as attacks on either infrastructure or on innocent people. The Middle-east countries and parts of Europe are particularly vulnerable to these violent assaults. I still marvel at how the White House has made a point to always call the group ISIL as a way to distance themselves after they originally backed the group in the beginning. Since that time we've had the misfortune of watching ISIS a group originally funded, trained, and equipped by the U.S., Saudi Arabia, and other Persian Gulf allies, turn on us and morph into an aggressive force with an extreme agenda that has reeked havoc in the area. As to how quickly ISIS can spread, clashes began in Mosul, Iraq's second city, late on June 9, 2014, and Iraqi forces lost it the following day to ISIS. The group has spearheaded an offensive that has not stopped after it overran much of the country's Sunni Arab heartland. Here in America, we have those interested in becoming the next President weighing in with their take and putting out their opinions on how to proceed. Recently, Jeb Bush ventured forth during an interview on, Face The Nation, about how we must commit to further training and aid for Iraq. This might be a tough sell to Americans at a time when news is surfacing about all the equipment lost to ISIS when Iraqi soldiers fled their approaching forces in the northern city of Mosul. AFP reports Prime Minister Haider al-Abadi said in an interview that Iraqi security forces lost 2,300 Humvee armored vehicles when ISIS overran Mosul. Last year, the State Department approved a possible sale to Iraq of 1,000 Humvees with increased armor, machine guns, grenade launchers, other gear and support that was estimated to cost $579 million depending on how they are armored and equipped. 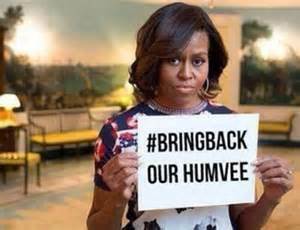 It is, therefore, safe to say the 2,300 Humvees abandoned would represent well over $1 billion of American taxpayers poorly spent. Footnote; A scenario that must be considered is that before long we will see an attack against the heavily defended the U.S. embassy and the Green Zone. The article below explores what ISIS may view as its most important objectives. In a recent post titled "Silly Or Delusional" I cautioned those that thought a bad jobs report or other bad news flowing out of America should bolster other currencies and weaken the dollar. Again, I put forth the idea the dollar remains the best house in a bad neighborhood or the cleanest dirty shirt in the closet, this means it is still the least worse option or currency to place your wealth. Have no doubt without the continued flow of goods from their shores such export-based economies such as Japan and China are "toast" and will further slow. As the world's reserve currency and the most liquid of all currencies the dollar has gained as faith in other currencies has diminished and central banks across the world continue to print more and more money. This is not to say I hold any illusion as to the "true value" of paper money, it is no more than a glorified IOU. High on our mind should be the question as to whether it is possible to decouple or disconnect an economy in our world where finances are so intertwined. While the pain is not always equally shared most economists seem to take the attitude that it is not really possible to escape unscathed and avoid being pulled downward from the forces of your neighbors falling production. This becomes particularly difficult if you are dependent on them because they are a customer or supplier. It seems central banks policies have had more effect in supporting and propping up derivatives than generating real growth. The low-interest rates that propel investors into high-risk assets in search of a positive return and all the money being pumped into the system when coupled with cross-border money flows have turned the world's financial system into a global Ponzi scheme. As the world economy has become more sophisticated the old formula of a nation creating wealth on the backs of cheap labor alone has begun to erode. Today a mix of natural resources, brains, and capital are taking the lead. Simply put, I beg anyone to show me a major country that is forging ahead and achieving growth on their own by having created the proper mix. I guarantee if it becomes apparent someone has perfected such a formula it will rapidly be copied across the planet. In recent years central banks have tried to take the lead and reinvigorate the economic landscape, this has morphed into where it has become the main driver of economic data but has generated little real growth outside the financial sector. In many ways, the reality that we have been left to twist and spin in the wind without direction is becoming obvious. One thing is clear government has totally failed to step up to the plate and devise a strategic economic that addresses both the necessary structural changes we must make and develop long-term sustainable growth. We must question the numbers that are being presented and spewed forth from both government and other groups as well as just how relevant they are. Recent GDP numbers show a marked deceleration in growth and most likely a decline when you factor in the even more surprising rise in America's trade deficit. 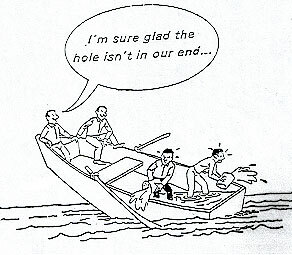 Today it would seem fair to say America is no longer the world's economic locomotive able to move us forward, or using another metaphor you might say that we are now all in the same boat. To confuse issues more we must consider that the numbers and economic formulas we rely so heavily upon are flawed. This means we are moving forward on a journey armed with a faulty compass and a map that is not drawn to scale. It is important to remember the economist Simon Kuznets who created the way to determine our national GDP in 1934 told the US Congress the formula was problematic. In 1962 Kuznets again emphasized that we must keep in mind the difference between quantity and the quality of growth. He made clear a distinction exist between cost and returns, and between the long and the short run. Kuznets went further to specify we needed goals concerning both growth "of what, and for what." Other economists have agreed that GDP is an empty abstraction with a very weak link to the real economy. The myth that poor quality growth can be sustained or generate escape velocity and free us from our economic woes is again proving false. No matter how hard we try to forget, it is becoming more apparent that America's last big economic surge just before the 2014 elections was driven by a 10% jump in federal spending, mostly on Pentagon hardware. This "pre-election" spending was the biggest increase in spending by the federal government since 2009 when the Obama administration put in place its huge economic stimulus package. Free trade is often not fair trade, once herald as a huge job creator and as a win-win formula for growth has also proved to benefit very few at the expense of many. Also, underwhelming has been my experience with government projects such as infrastructure schemes to create jobs and carry us forward. Often these result in the public paying dearly for poorly designed bridges to nowhere. Adding insult to injury the jobs created are temporary and short lived. Several things have become clear as the markets have disconnected and lost the ability to reflect honest price discovery. This should be crystal clear when we see the Dow Jones Industrial Average leap over 265 points and hover near all-time highs on bad news. It is little wonder many people are beginning to realize there is no safe place to hid. This does indeed leave us in a pickle, a tight spot, under a bit of duress, or simply at a point where we are forced to face the truth. Unfortunately, not taking the proper steps often causes more problems down the road. This brings to mind the words of Winston Churchill who said, "The era of procrastination, of half-measures, of soothing and baffling expedients, of delays, is coming to a close. In its place, we are entering a period of consequences". My point is, we too are entering the place where we must pay the piper. News out of Tokyo last week that could further erode the value of the yen received little attention. The announcement concerned Japan Post Holdings, the world’s biggest holder of Japanese government bonds after the Bank of Japan. With little fan fair Japan Post said that it will significantly alter its investment strategy as the state-owned group revamps its 300 trillion yen portfolio. Japan Post President Taizo Nishimuro told a regular news conference that he met with Bank of Japan Governor Haruhiko Kuroda last week and told him that “we will greatly change how we manage the investment of JGBs.” Because of the mere size of Japan Post Holdings this is should be considered a signal of major importance and has far-reaching implications. Japan Post is a Japanese state-owned conglomerate, through its subsidiaries, provides postal, banking, and insurance services in Japan. Its activities include postal operations; banking counter operations; insurance counter operations; sale of documentary stamps; operations consigned by local government entities; life and non-life insurance agency services; domestic distribution and delivery business, and international cargo transport and agency services for air cargo business; logistics business; real estate business; and merchandise sales. When talking with several of my contacts I was surprised they were unfamiliar with the company, it could be because it is quasi-government in nature and tightly tied to the government. Japan Post as it existed from 2003 to 2007 offered postal and package delivery services, banking services, and life insurance. With over 400,000 employees and running 24,700 post offices, it ranked as the nation's largest employer. One third of all Japanese government employees worked for Japan Post, as of 2005, it was said to be the largest holder of personal savings in the world. With ¥224 trillion ($2.1 trillion) of household assets in its yū-cho savings accounts and ¥126 trillion ($1.2 trillion) of household assets in its kampo life insurance services, its holdings accounted for 25 percent of Japanese household assets. Japan Post also held about ¥140 trillion (one fifth) of the Japanese national debt in the form of government bonds. In 2007 Japan Post was privatized with the Japan Post Group companies operating the postal business. That makes the group one of the largest institutional investors in the world. As of 2013, it ranked thirteenth in the Fortune Global 500 list of the world's largest companies. Privatization was put on hold in 2010, so currently, the Japanese Ministry of Finance remains the 100% shareholder. However, plans unveiled in 2012 to list shares of the Japan Post Holdings Company within three years are moving forward and the government plans to list Japan Post Holdings Co Ltd and its banking and insurance units on the Tokyo Stock Exchange in late 2015 or early 2016. About 10 percent of each unit's outstanding shares will be offered in the IPO and could rake in 700 billion yen with the IPO proceeds slated to finance the post-earthquake reconstruction of the country. This could in some ways be interpreted as the government selling off the family jewels. For years many economists have noted the Japanese people have always been the ones to buy their governments debt, this is a step back from that policy. Traditionally, with close ties to the government the investment strategy of Japan Post has been very conservative with low-yielding JGBs making up more than half of its portfolio. But as Japan Post and its two financial units prepare for separate initial public offerings later this year, they will take a more aggressive investment stance and chase bigger returns, said Nishimuro. Japan Post Holdings Co has hired Katsunori Sago, a former Goldman Sachs Group, Inc.'s executive as head of asset management at its banking unit as it reallocates its portfolio. The move will likely to shift a bulk of money from JGBs to riskier but higher-return assets like stocks and foreign bonds. In doing so I contend this will cement an attitude within the Japanese population that it is time to start shifting savings out of the yen and into other types of holdings. This may someday be looked on as a watershed event as to how the Japanese shift away from the yen to protect their wealth. Footnote; As always comments are welcome and encouraged. A prior article I wrote looks at how the financial news flowing from Japan has become so loaded with conflicts of interest and internal deals created to prop up one weak institution with another and of the possible ramifications. The article can be found below.